See the everyday life of a Viking family in the interactive exhibition Ragnfrids Saga. Tickets must be redeemed at the Vikingaliv entrance, please have your iVenture Card present. Address Djurgårdsvägen 48, Stockholm, Sweden. Collection Information Tickets must be redeemed at the Vikingaliv entrance, please have your iVenture Card present. Vikingaliv is the museum for anyone who wants an insight into life during the Viking era. Here is an exhibition showing several aspects of the history of the Vikings where guests can learn how people lived. In addition here is also Ragnfrid’s Journey; an 11-minute long Viking trip through a story about life in the Viking Age anno 963, both at home and abroad. 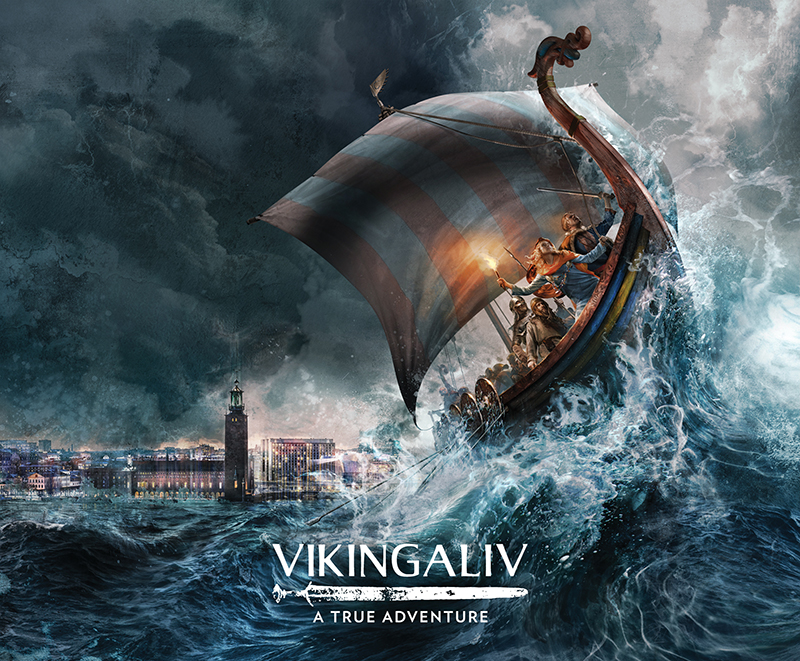 Vikingaliv is the museum for anyone who wants an insight into life during the Viking era. Here is an exhibition showing several aspects of the history of the Vikings where guests can learn how people lived. In addition here is also Ragnfrid’s Journey; an 11-minute long Viking trip through a story about life in the Viking Age anno 963, both at home and abroad. Once per hour there is a short introduction tour in the museum. This tour is recommended for children from seven years and above and cannot be pre-booked. Also be sure to pay a visit to the unique restaurant Glöd, which offers a wide selection of food, everything from sandwiches to salads and hot dishes. Tram no. 7 – Take the tram from Hamngatan, or Nybroplan and get off at Liljevalchs / Gröna Lund. Walk down towards the water and turn right where our entrance is located. Bus 67 – The bus goes all the way from Frösundavik in Solna via Solnavägen, Torsplan, Odengatan, Karlavägen, and Karlaplan. Get off at Liljevalchs / Gröna Lund, walk down towards the water and turn right to Vikingaliv’s entrance. Metro – ride the Metro to Karlaplan and exit towards Karlaplan and the buses. From here you can take bus 67 or walk. The walk takes about 20 minutes.